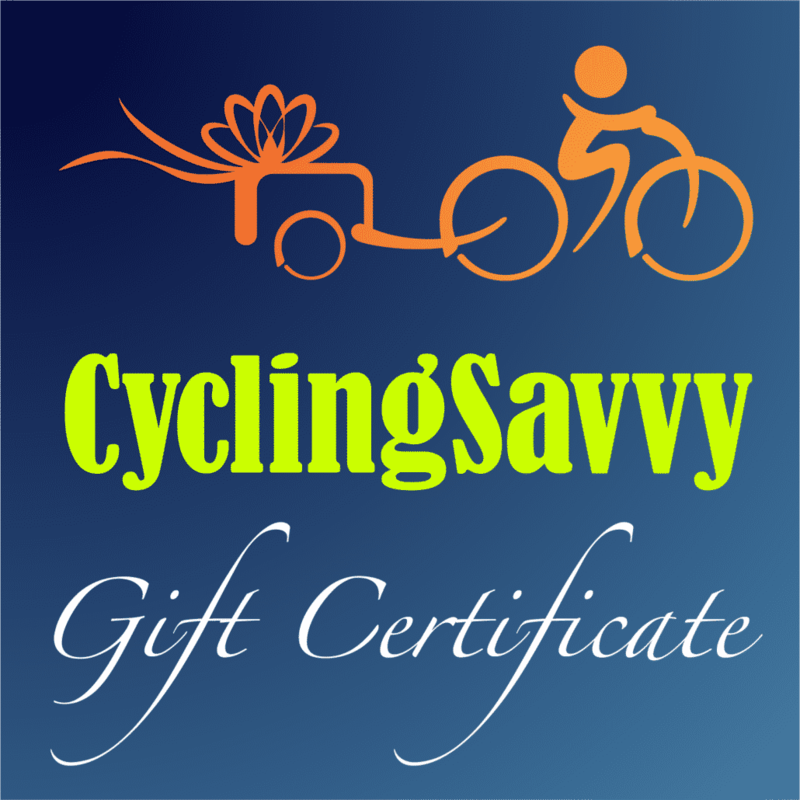 CyclingSavvy is many things to many people. At its core, it’s a traffic cycling education program. When you’re a savvy cyclist, you can go anywhere on your bike with safety and confidence — which also makes bicycling more fun! Savvy cyclists are paving the way for a new understanding and acceptance of cyclists into the transportation network. But there are other facets. 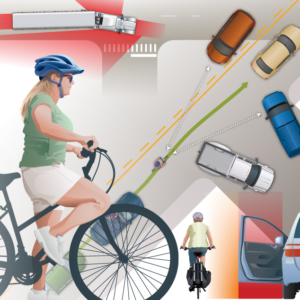 CyclingSavvy goes beyond cyclists’ training as a resource for bicycle-related education for traffic engineers, transportation planners, law enforcement professionals, educators and the general public. Urban planners and environmentalists see CyclingSavvy as a tool for social change, leading to more sustainable and livable communities where the drivers of human-powered vehicles are expected and respected as a normal part of traffic. 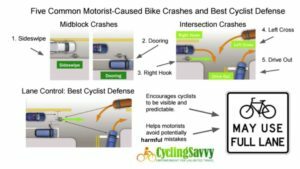 Here in Southern California, I’ve used the resources of CyclingSavvy in the courtroom as an expert witness to defend cyclists unfairly ticketed for defensive bicycle driving. 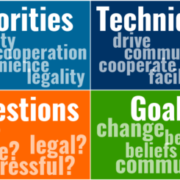 Because there’s so much to CyclingSavvy — and because we all encounter occasions to discuss savvy cycling with others who want to learn more about our passion — I’ve developed a four-by-four framework to capture four dimensions of CyclingSavvy. The framework easy to memorize and once committed to memory it’s instantly accessible and useful for impromptu discussions about bicycling. Safety is paramount — safety first! As vulnerable road users, we need to control our space, maintain good sight lines to see and be seen, and be relevant and predictable to other road users. Cooperation is also a priority for savvy cyclists. The Rules of the Road require cooperation among all road users. As drivers of narrow and relatively slow vehicles, cyclists have many opportunities to cooperate with motorists as well as other cyclists and pedestrians. Convenience is essential for bicycling to be a practical means of transportation. Cyclists must have access to all surface streets to minimize travel time and distance, and have the option to control the full lane on travel lanes that are too narrow to share safely with motor vehicles (which is usually the case). This is particularly important for faster cyclists — which now include not only fit roadies, but also anyone riding an e-bike, regardless of age and fitness level. And it’s more convenient for two cyclists traveling together to ride side-by-side in order to converse, the same way a motorist and passenger can talk. This, of course, requires full lane use. Legality is also important. In all states, cyclists are expected to observe the same laws as drivers of motor vehicles, with a few exceptions. 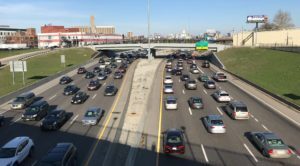 But there are some situations, such as in states with mandatory bike lane, bike path and shoulder use laws, where following the letter of the law may not be the safest option for cyclists. 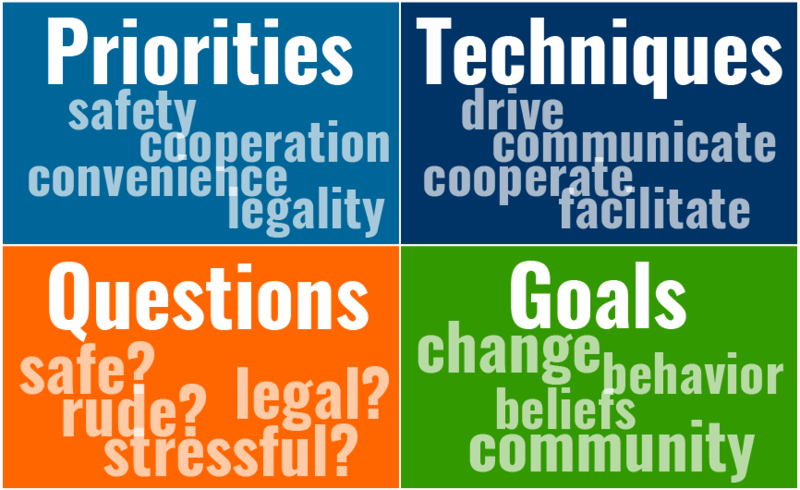 CyclingSavvy offers four broad categories of techniques to achieve the priorities described above. Anticipating and using the proper lane on multilane roads — such as turning right into the leftmost lane when planning to make a left turn. We must also Communicate. Using hand signals to convey our intention to turn, change lanes and slow down or stop helps motorists give us the space and time we need to be safe and comfortable on the road. But there’s another form of communication that’s even more important than hand signals. 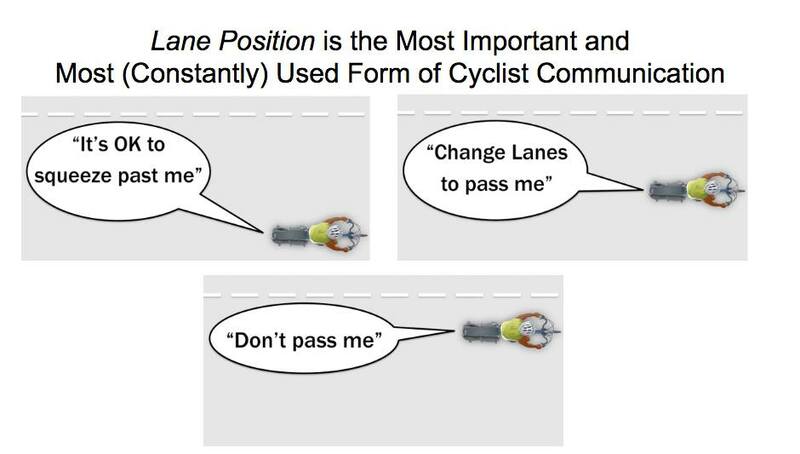 We use this to communicate 100 percent of the time we’re bicycling on public roads: our lane position. CyclingSavvy encourages additional hand signals that are not taught elsewhere and yet are very useful and instantly understandable by our fellow road users. One is the “stay back” signal (hand extended to the side with palm facing back), which tells following drivers not to pass. Encouraging motorists to pass when safe can be done by using a side-sweeping motion from back to front. 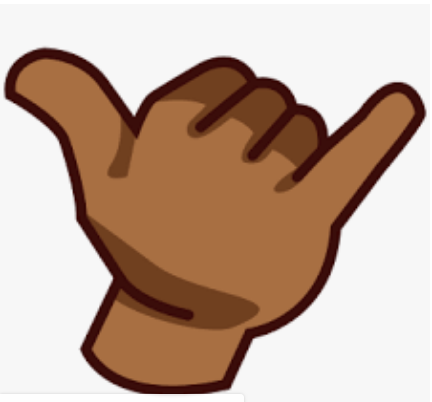 To recognize and reward the cooperation of other drivers, we can use a “thank you” signal by raising an open hand toward the sky–although in surfing states like Hawaii and California, the shaka (or “hang loose”) sign might be appropriate (extending the thumb and little finger). Finally, the shoulder check to view traffic behind is also a means of communication, but its meaning depends upon the context. When done from the middle of the lane looking left, it will mean the cyclist is looking to merge left into the next lane. But when done before or after having moved toward the right edge of the road, it can be understood as an invitation for following traffic to pass. That savvy cyclists Cooperate has already been mentioned above as one of the four Priorities, but cooperation must be included here, too, as a set of techniques. Control and Release involves a centered lane position with perhaps the “stay back” signal to inform motorists behind that it is not safe to pass, and then encouraging them to pass when safe by moving right in the lane and perhaps using a “pass now” hand signal. Slow and Release can be used when two traffic lanes merge into one; the cyclist slows down before the merge to allow traffic behind to pass before moving into and controlling the sole remaining travel lane. Finally, CyclingSavvy teaches several ways to Facilitate traffic cycling, so that situations that would intimidate many cyclists can be handled easily and without stress. Some of these techniques involve timing your moves for when there is no or little traffic on the road, even on normally busy streets. Waiting for a green signal to turn right into the leftmost lane where the cyclist will next turn left is a good example. This “right-left” maneuver is taught in just about all on-bike CyclingSavvy courses as it facilitates cycling by both reducing traffic and eliminating lane changes. 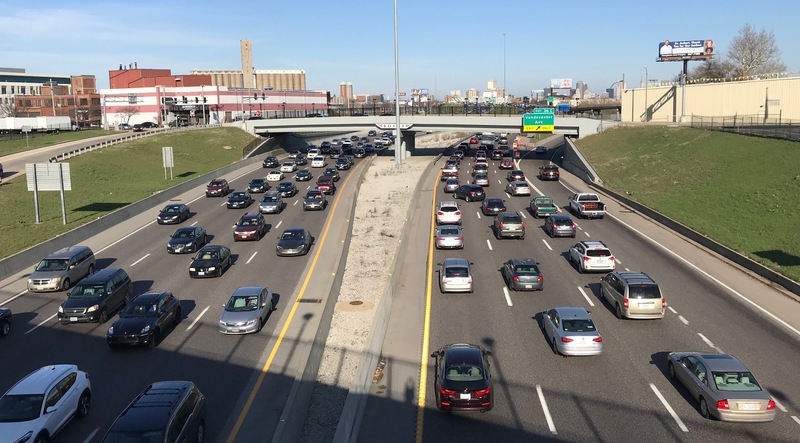 Waiting for gaps in traffic between “platoons” is another way to reduce traffic and facilitate lane changes, as is making lane changes early if a gap appears in traffic. Such techniques facilitate both the cyclist’s travel as well as that of nearby motorists. And perhaps surprising to many, cyclist lane control on multilane roads makes it easier for motorists to pass, as this makes it clear from far back that they must change lanes to overtake, giving them more time and space to do so. 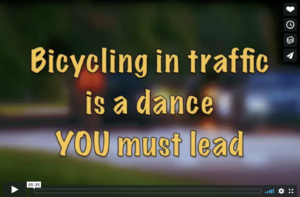 In my one-hour classroom introduction to CyclingSavvy, I start by showing the Dance video, in which CyclingSavvy co-founder Keri Caffrey and other savvy Orlando-area cyclists demonstrate bicycle driving using lane control and cycling on the center and left lanes of multilane roads. When I ask attendees why all bicyclists don’t operate in this manner, four questions are usually raised. The first is whether cyclists’ use of the full lane and use of center and left traffic lanes is Legal. The answer is “yes” in almost all cases. States that have “Far to the Right” laws and mandatory bike lane/bike path/shoulder use laws have many exceptions to these requirements. No state obligates you to endanger yourself for another road user’s convenience. A second question is whether bicycle driving in this manner is Safe. Technically, this is impossible to answer without agreeing on what “safe” means and knowing “compared to what.” But it’s clear that bicycle driving involving lane control on lanes too narrow to safely share is usually safer than edge or sidewalk riding. Lane control eliminates or significantly reduces the probability of the five most common motorist-caused car-bike crashes: sideswipes, doorings, right hooks, left crosses and drive-outs. 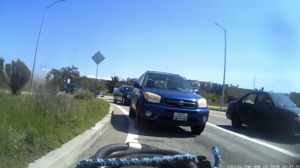 Even if savvy bicycle driving is legal and safe, might it not still be Rude? A bicycle is, after all, a narrow and relatively slow vehicle. Doesn’t cyclist lane control delay motorists? Anyone who drives or bikes in a city with congested traffic knows that it isn’t bikes that delay traffic. It’s other motor vehicles. And bicycles are not the only slow-moving vehicles. There are garbage trucks and city and school buses. Not to mention traffic signals and grade-level railroad crossings with long and slow freight trains. As mentioned above, cyclist lane control on multilane roads may actually make it easier for motorists to pass. 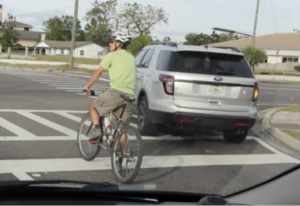 And recall the four traffic release techniques that CyclingSavvy teaches and encourages cyclists to practice — quite the opposite of rudeness! Finally, while bicycle driving may be legal, safe and not rude, isn’t it nonetheless Stressful? Well, that depends both on where you ride and what you know. If you believe that the faster motor traffic behind you is your greatest danger on the road, you may well find lane control stressful. 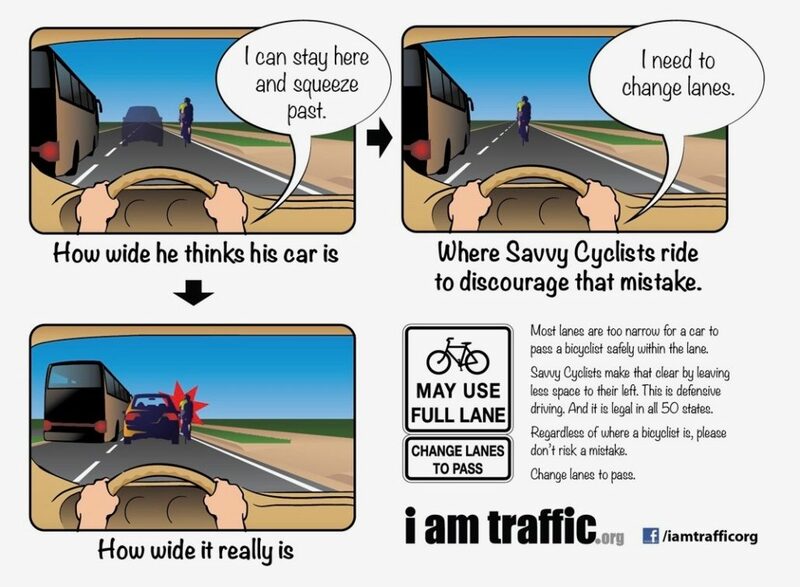 But a savvy cyclist who understands that lane control eliminates or significantly reduces the “Big Five” motorist-caused car-bike crashes will recognize that in most cases, lane control is safer and therefore less stressful than edge riding or sidewalk riding. Even as a savvy cyclist, I find some roads not particularly enjoyable for cycling. One such road is westbound Culver Boulevard in Los Angeles through the Ballona Wetlands. This road connects my neighborhood of Playa del Rey with the adjacent neighborhood of Playa Vista. There are no cross streets on this stretch, so it has a freeway-like feel to it. Since there’s no convenient cycling alternative, I use this road, making sure I’m visible and relevant. And I keep tabs on the traffic behind me with frequent glances into my helmet-mounted mirror. There’s no useful shoulder, so I control the right lane. I almost always get full lane changes. I know that riding on the edge would be much more stressful, as I would be effectively telling motorists to squeeze by me in the narrow lane. In fact, I wouldn’t even consider using this road if I felt I had to ride on the edge. If traffic builds up behind me at the first stop light on this stretch, I use “release on green” to let these motorists go ahead of me before taking possession of the full lane. This ensures that motorists in the next platoon coming up behind me have plenty of time to see me and can easily change lanes to pass, as you’ll see in the video. 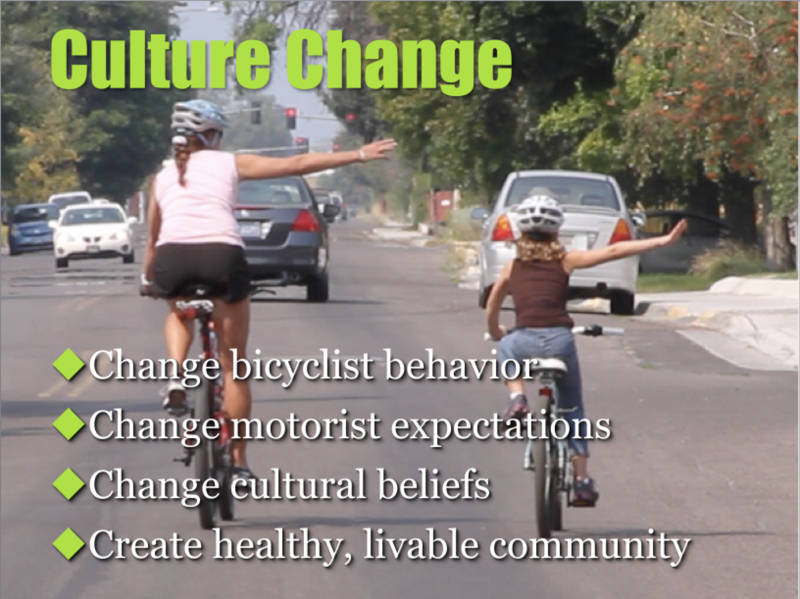 While CyclingSavvy is at its core a traffic cycling education program, it has the greater potential to transform our transportation culture and how we move about our communities. What I like about this perspective is the realization that my savvy cyclist behavior is not only serving to enhance my safety and enjoyment of bicycling, but it’s also helping to change cultural beliefs of how cyclists typically do and should behave. A short time ago, a friend and I rode 52 miles through the arterials and residential streets of Los Angeles. For much of our ride we were side-by-side, controlling the right lane on multilane urban arterials. We experienced not a single challenging honk, no close passes, and no incivility whatsoever from the hundreds of L.A. motorists we encountered. Of course, we looked for opportunities to allow motorists to pass us where convenient and safe, and we exchanged many friendly waves and smiles with other road users. It’s exciting and satisfying to realize that my savvy cycling behavior is helping change the beliefs and expectations of motorists and other cyclists with whom I interact. Cyclists in the 19th Century were responsible for getting roads paved. These roads were eventually swarmed by motor vehicles in the 20th Century. Now in the 21st Century, savvy cyclists are paving the way for a new understanding and acceptance of cyclists into the transportation network of our cities, towns and neighborhoods. Many savvy cycling topics and techniques have been presented here — and many more could be added. But the primary purpose of this article is to provide a simple framework for CyclingSavvy instructors and graduates to aid them both in their traffic cycling and communicating about CyclingSavvy with others. Memorize it, go forth, have fun and change the culture!